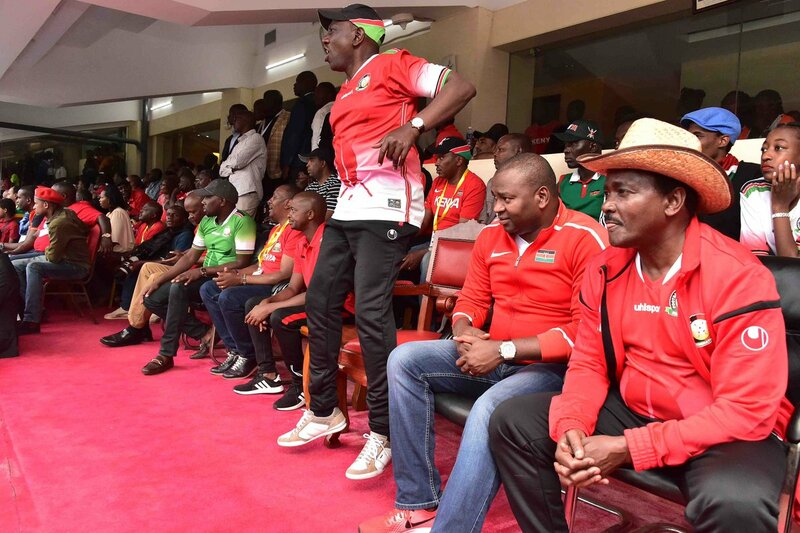 Deputy President William Ruto’s bodyguards have been accused of harassing Kenyan football legend Dennis Oliech and Musa Otieno during the Harambee Stars versus Ethiopia Afcon qualifiers game at the Kasarani Stadium. According to the ODM director of communications, Philip Etale, Otieno and Oliech were trying to make their way into VVIP section of the stadium when the unfortunate incident took place. “Can you imagine DP’s security men harassed Kenya’s great men Dennis Oliech and Musa Otieno as they entered the VVIP section of Kasarani stadium? Both men captained Harambee Stars during their times & were very successful athletes. Fans were not amused though,” Etale said on Twitter. Can you imagine DP's security men harassed Kenya's great men Dennis Oliech and Musa Otieno as they entered the VVIP section of Kasarani stadium? Both men captained Harambee Stars during their times & were very successful athletes. Fans were not amused though. Etale further called upon the government to empower sportsmen and women instead of handing them cash rewards. “We need to empower our sportsmen/women by nurturing them right from the ground, upwards. We should invest in sports academies and modern stadia rather than rewarding them handsomely whenever they win. Their lifestyles are wanting & need more than on spot cash rewards,” he noted. The government on Friday pledged Sh50 million for the team while Nairobi Governor Mike Sonko handed the team Sh3 million cash reward shortly after thrashing the Waliyas. Seated with the DP was Sonko, his closest allies; Kipchumba Murkomen, Moses Kuria and Kimani Ichung’wa. Harambee Stars beat Ethiopia 3-0 courtesy of the team captain Victor Wanyama, Michael Olunga and Eric Johannah.